Pan right. 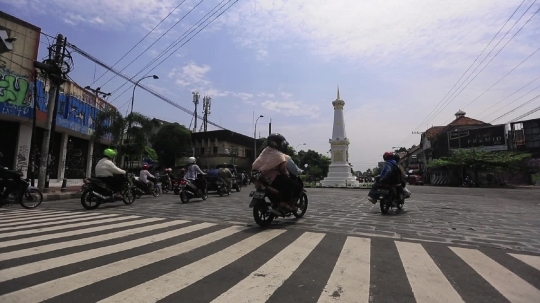 Traffic at Tugu intersection in Yogyakarta. Editorial Use Only - Cannot be used for any commercial purposes.